In this chapter, you've seen how you can incorporate yoga into your fitness program and devise a blueprint for a custom-tailored yoga program. Each particular sport and fitness activity can have its own unique yoga plan. 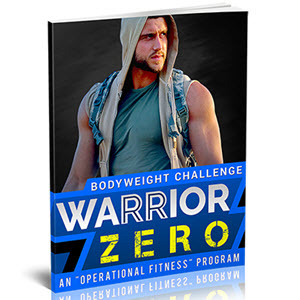 If you'd like more information on specific postures and stretches that you can explore for your specific fitness activities and goals, the following resources are highly recommended to supplement the information presented in this chapter. Aladar Kogler, Ph.D., Yoga for Athletes: Secrets of an Olympic Coach (Llewellyn, 1999). 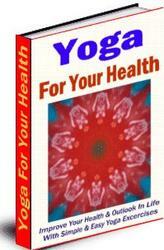 This is a comprehensive reference book on how you can incorporate yoga into your particular sports or fitness activity. The author, a fencing coach at Columbia University and director of the Columbia University Sports Psychology Research Laboratory, draws on his years of experience in incorporating yoga into the fitness training programs of high-level, Olympic champion athletes to show how every man can benefit from yoga. He explains in detail how yoga can help improve performance in various athletic activities, as well as how specific yoga postures can help compensate for the overuse of certain muscle groups in specific sports. Bob Anderson, Stretching: 20th Anniversary Revised Edition (Shelter Publications, 2000). This is a sound basic manual on stretching that has been translated into 16 languages with millions of copies sold around the world. The author does an excellent job of introducing the theory behind stretching and detailing how you can develop a complete stretching program to accompany your particular athletic activity. Stretching routines are provided for more than 20 sports-specific activities, including such popular categories as running, tennis, racquetball, cycling, swimming, golf, weight training, and more. Bob Anderson, Stretching: The Video (Shelter Publications, 1987). This is the videotape companion to the classic text on stretching cited previously. Yoga Conditioning for Athletes with Rodney Yee (Gaiam/Living Arts, 2000). Featuring yoga superstar Rodney Yee, this 60-minute video is designed to help you improve your athletic ability and play longer with fewer injuries, no matter what your sport. Yoga for Athletes Interactive Yoga Series (Body Wisdom Media, 2002). This interactive DVD responds to each athlete's specific needs by offering 12 customized workouts for 16 different sports. Routines range from 20 to 60 minutes. Sports presented include cycling, golf, hiking, skiing, swimming, tennis, volleyball, weightlifting, and more. The following Website contains links to articles on stretching archived in its stretch library of articles: www.yoga.com. "The men that come to my yoga classes are often the most resistant. Many times, their trainers send them to my class to help them become more flexible. Yoga is one of the best all-around workouts because it can help men build strength and at the same time become more flexible. It can help men relieve stiff backs and sore muscles, while reducing stress and boosting energy levels. "I work on Wall Street, not far from the World Trade Center. Many men come to me with concerns about stress and how to eliminate it through yoga. I have often fielded questions about chronic pain, sports injuries, problems after surgery, or repetitive stress injuries. Yoga can help all of these issues. Yoga is the panacea of all ills—not only in the body, but also in the mind."